I love your site! I never go to Target without checking it before I go!!! It is a must to MAXIMIZE my single income budget! Wow, I love your giveaways! So creative. Winning would be such a blessing right now! Wow! It would be wonderful to win! Would love to win, I already like you on FB. Love this site, you have helped me sooo much!! I love Totally Target and all of the deals you help me get!! I hope I win. Enjoying these giveaways so much and your site. Checking your site is now part of my daily routine like my cup of coffee. Only thing is that I have 1 cup of coffee daily but I check your site a gazillion of times during the day. :). Thanks so much for the opportunity. Would love to win this. Need some new spring/summer clothes! It might be my second entry, but every deal sight comes second to Totally Target!!! So cute! Wish they still made these. We always need something from Target! I love Totally Target and love Target. Would love to win this gift card! 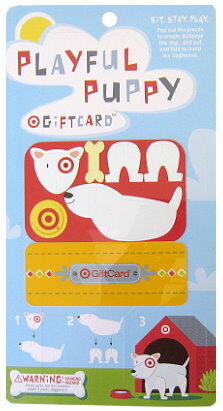 I desire $50 Target gift card of fun. Was just there today and spent .23 cents on 4 items!!! now thats cool! Thanks for the contest! I like you on FB! I like/love Totally Target in Facebook! Thanks for the chance (:!